We’re Canada’s leading onboarding company for the financial services industry. FIs with a truly omni-channel onboarding solution. As Canada’s leading provider of onboarding software for the financial services industry, we dedicate all of our resources, brain power and creativity to transforming account origination and loan auto-decisioning into a seamless, digital and incredibly simple customer experience. Our platform – cumulus – fully digitizes the onboarding process. It’s 100% compliant to all banking regulations and can be easily configured to an FI’s brand, voice and products. cumulus is completely paperless, with e-signatures, electronic account funding and automatic account switching. It also offers banking integration and a module stack that includes retail, commercial and wealth management deposits as well as online lending. These stacks work independently or together and can be deployed in as little as four weeks. cumulus also makes customers happy by offering an incredibly easy and fully digital account opening experience that endears them to an FI’s brand. Our platform is continually innovating to ensure that it reflects the best that technology has to offer. We achieve this by establishing key API integrations that allow us to leverage complementary technologies that will further digitize the onboarding process. This makes it possible for us to rapidly integrate and deploy leading technologies that help our clients increase customer satisfaction and loyalty, achieve marketplace differentiation and unify complex back-office systems and legacy applications into a streamlined process that drives sustainable results. Our solutions are working across the country, helping FIs of all sizes achieve their growth and profitability goals. A growing number of credit unions, retail banks, trust companies and wealth management firms are choosing cumulus because it’s the most complete, accurate, sustainable and compliant solution in the market. It strengthens brands by delivering an amazing user-experience both in-branch and online. Today we’re Canada’s leading developer of onboarding software for the financial services industry, but our story doesn’t begin there. We started out as a web development agency in 1999. In 2004, we were hired by a local credit union. That partnership became a pivoting point for us and was the impetus for a change in our corporate direction. It inspired our team to learn everything there was to know about how credit unions worked and what they needed to succeed. 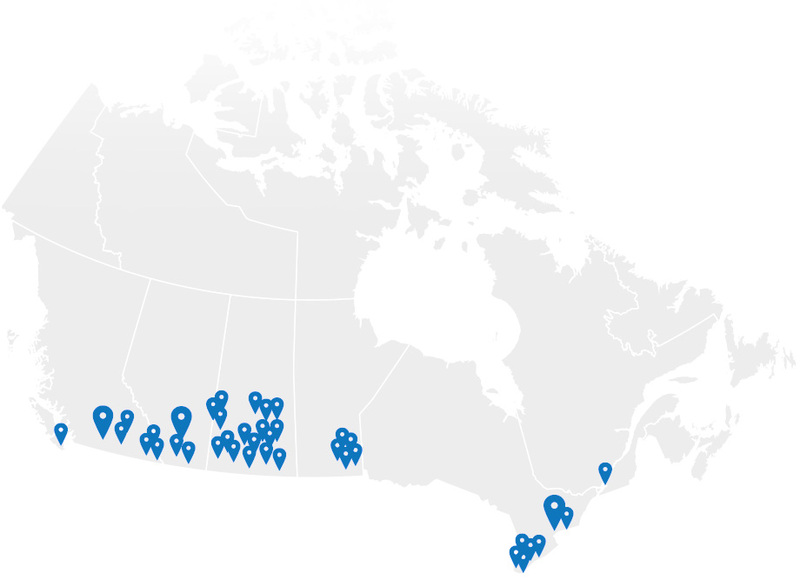 Before long, CUs across Canada were turning to us for solutions that would help them overcome internal efficiencies and better meet the needs of their members. All of this inspired growth and innovation would lead us to a focus on providing solutions that drive engagement and maximize the customer onboarding experience for credit unions, retail banks, trust companies and wealth management firms across the country.